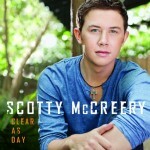 Mercury Nashville/19 Recordings/Interscope artist Scotty McCreery has been chosen as the first artist to release a CD in the successful ‘ZinePak configuration, which features his debut album, Clear As Day, and exclusive elements, including a magazine with never-before-seen family photos and personal information about Scotty. The ‘ZinePak – pronounced “ZEEN-pack” – will be on sale exclusively at Walmart beginning Oct. 4. It will be available in the music department, alongside the standard edition of Clear As Day. Fewer than 80,000 ‘ZinePaks will be produced, making this a truly limited edition. “I am honored and flattered to be the first one chosen for a deluxe edition ‘ZinePak,” Scotty says. “It was a lot of fun working with Kim and Brittany, the editors of ‘ZinePak. The Clear As Day ‘ZinePak features his debut album and a 72-page mini-magazine that includes a feature article with Scotty and a fan Q-and-A, as well as lyrics and song notes from Scotty, behind-the-scenes photos, games and more. This deluxe edition also includes collectible postcards and a set of Scotty-themed baseball cards. “The ‘ZinePak provides a glimpse into Scotty’s world,” says Brittany Hodak, ‘ZinePak president and co-founder. “Scotty was very involved in the creation of the magazine and bonus items because he wanted to ensure the package would be exciting and authentic for his fans. Many of the photos in the magazine are from the McCreery’s private albums and were chosen by Scotty to be exclusive to this release. Scotty, 17, won Season 10 of American Idol in May, becoming the youngest male winner and only country male winner in the show’s history. A record-breaking 122.4 million votes were cast for the finale. The final show attracted 29.3 million viewers and 38.6 million people tuned in to see the winner’s name announced. “After reading the Academy of Country Music Awards ‘ZinePak, released in March 2011, fans began requesting that we write an entire magazine about one artist exclusively,” Hodak says. “We began looking for an artist who had an interesting story to tell, amazing music and a unique bond with fans. It was evident during American Idol that Scotty McCreery has all of this and more, making him the perfect candidate. We are thrilled that our first deluxe edition artist ‘ZinePak features someone so talented, entertaining and down-to-earth. Scotty is the first artist whose deluxe edition ‘ZinePak and CD will be available at retail and include a CD. Previous ‘ZinePak compilations include two titles in the popular KIDZ BOP music franchise and a release commemorating the 2011 Academy of Country Music Awards. Two tour ‘ZinePaks have been created for Selena Gomez. More than 100,000 ‘ZinePaks have been sold this year. Scotty McCreery to Co-Host Country Music Countdown USA! It’s almost a dream come true for Scotty McCreery. The soon-to-be 18-year-old will be singing before game one of the World Series, but it looks like his favorite teams won’t be there. Last night, he tweeted, “sad night for boston fans… braves fans.. I feel for you too” after both the Red Sox and the Atlanta Braves finished historic collapses that kept them from the playoffs. “This is sad.. i was hoping for an intense october. now im just gonna watch the playoffs as a baseball fan, and not really get too into it,” McCreery continued in his series of tweets about the Red Sox and Braves. According to Hits Daily Double, McCreery will sing the ‘Star Spangled Banner’ before game one of the World Series on October 19. The venue is yet to be decided, as the playoffs don’t begin until Friday. The World Series appearance is just one of a long list of places fans can find McCreery next month as he promotes his debut album, ‘Clear as Day.’ According to a recent press release, he’ll be on the ‘Today’ show on October 3, and ‘Live With Regis and Kelly’ on October 4. He’ll also appear on ‘The Tonight Show’ and ‘Ellen’ later next week, before appearing at the Grand Ole Opry on October 11. In addition, he’s scheduled to be part of the Macy’s Thanksgiving Day Parade in November. After the media blitz is finished, McCreery says he plans to return to Garner High School to finish his senior year. ‘Clear as Day’ is in stores on October 4. Scotty has started a video blog! His first entry can be viewed on his YouTube channel or on his official website. According to Hits Daily Double Scotty will be singing the National Anthem at Game 1 of the World Series which is scheduled for Wednesday, October 19 on FOX. For those wondering, the Red Sox (Scotty's favorite team) did not make the playoffs so they don't have a chance of playing unfortunately. Hits Daily Double is also reporting that Scotty will perform at the Macy’s Thanksgiving Day Parade.